How would you rate your experience with Viacom ? 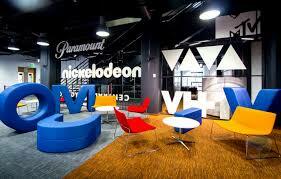 Viacom is a multi-media giant, mainly in the areas of television and film. While the company can trace its roots back as far as 1952, when it was CBS Films, it is generally accepted that Viacom was founded in 2006. The company is currently the 9th largest media, film, and cable company in the US. Viacom owns BET Networks, MTV Networks, and Paramount Pictures. Viacom has led a long-term lawsuit against YouTube (owned by Google) for copyright infringement since February 2007. Both parties apparently settled out of court in 2013 with no money being exchanged and the exact terms undisclosed. In late 2018, the company announced a 3 picture deal with Netflix. In early 2019, CBS began talks with Viacom about a possible merger of the two companies. Viacom continues to expand via acquisition, this time picking up Awesomeness TV in July 2018 for $300 million, which was half of its estimated value. 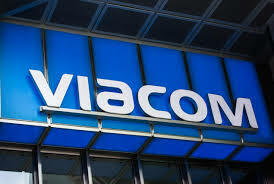 Viacom is listed on the NASDAQ under the ticker symbol VIA. In 2017, the company reported annual revenue of $13.263 billion. Question 1: What is the phone number for Viacom? Answer 1: The phone number for Viacom is (212) 258-6000. Question 2: Who is the CEO of Viacom? Answer 2: The CEO of Viacom is Robert Marc Bakish. Question 3: Who founded Viacom? Answer 3: Viacom was founded by Sumner Redstone in 2005. I have been calling to buy WiFi service but I can’t get through. Seems like a lot of people are complaining about your inaccessibility. Have I made the wrong choice of a company? Do you want to sell me WiFi service? Want to make sure Viacom sees your comment or complaint?